Label Code: 7037 / 07037 including all labels. Full legal name: Music Research GmbH Tonträger und Marketing. Registered: 1991/05/14 Amtsgericht Bad Homburg v.d.H. HRB 4402; deleted 11/07/27. Was a German record company based near Frankfurt/M., founded by Talla 2XLC. MR went bankrupt in 2001 because of financial problems. 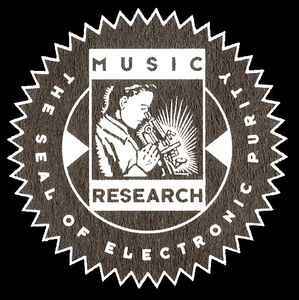 On releases often shortly 'Music Research', sometimes also referred to as "Muzic Research".